Winter presents one of the most challenging seasons for your house heating needs. You just can’t afford the risk of a furnace that is not heating your home optimally. All the components of your furnace have to be in top notch condition. The furnace air filter does not do the actual heating, but it is vital in ensuring the air blowing throughout your home is clean. Why is this important? Constant use makes the filter dirty. This dirt will finally clog the filter and restrict air flow. This requires you to take proactive measures and replace your furnace filter before winter sets in. There are a few reasons why it is important to replace your furnace filter before winter. When your air filter is clogged or damaged, it will make your heating system to run much harder than usual. This will translate into higher energy bills. Certainly, you need heat in your house not in your pocket. Ensure you have the system running efficiently by fitting a new filter before the cold season begins. One might opt for the easy way out by to just removing the offending air filter. However, this is the wrong approach to the problem. Getting rid of the filter will only give debris and dirt an opportunity to accumulate in the system. This accumulation of unwanted foreign bodies into the system is a sure way of inviting premature failure and preventable breakdowns during the chilly winter season. 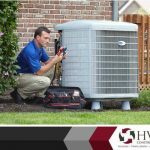 By doing this replacement earlier you will be giving you HVAC system a longer life. You, a member of your family or some of your guests might be suffering from allergies or find excessive dust accumulation to be a source of discomfort. Paying attention to your filter is a great starting point in seeking relief to these anticipated challenges. By replacing the furnace filter before winter you ensure that you will not have to worry about adulterated air in your house during the cold season. 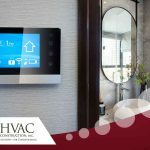 Endeavor to take the entire measures make your home environment as comfortable as possible prior to the onset of winter. Products become more expensive during the seasons of the year when the sellers know you can hardly do without the product in question. It is normal in business for such prices to shoot upwards when buyers have little option other than buying the commodity in question. So, why not replace your furnace filter before the costly replacement season arrives? You don’t have to wait until you experience the challenges of a malfunctioning furnace filter. Replacing it now is easy and inexpensive. It will extend the life of your HVAC system and enhance the quality of your indoor air quality. Buy for best quality air filters with an excellent Minimum Efficiency Reporting Value (MERV). The value ranges from1 to 12 and the higher the value the better filtration you get with the filter. 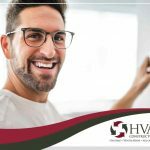 Remember to have your HVAC system tuned up regularly, especially so during winter, to ensure the entire system is in synch and operating optimally. 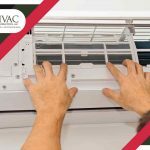 With these simple but vital tips you are sure of getting excellent service from your heater throughout the winter period and beyond. 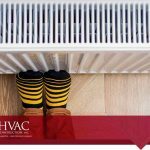 Contact us for all of your heating needs. What Is Annual Fuel Utilization Efficiency? All Rights Reserved. © 2019. HVAC Construction, Inc.